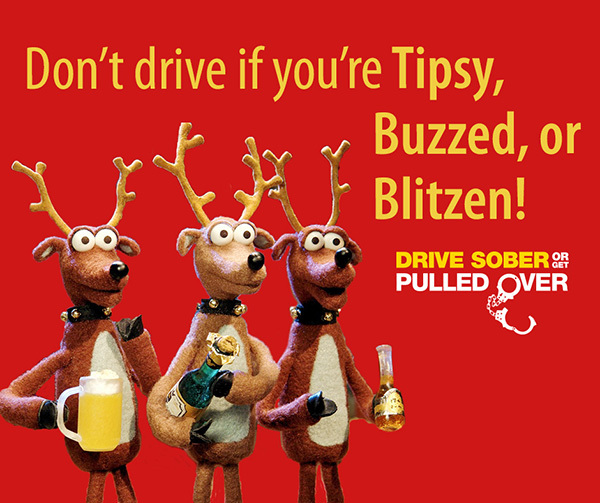 From Dec. 15, 2016-Jan. 1, 2017, officers from police departments, Sheriff’s offices and the Michigan State Police will step up drunk driving enforcement across the state as part of the Drive Sober or Get Pulled Over campaign. There were 17 traffic fatalities during the 2015 Christmas and 2015/2016 New Year’s holidays. Alcohol is believed to be involved in seven of the fatal crashes. This holiday, don’t drive if you’re Tipsy, Buzzed, or Blitzen. Get a sober ride or call a cab.